Dojo is a Japanese term that means ‘place of the way’. The term can refer to a formal training place for any of the Japanese ‘do‘ arts but typically it is considered the formal gathering place for students of any Japanese martial arts style to conduct training. 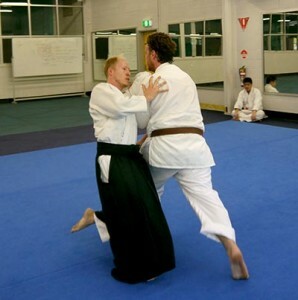 Griffith Aikido Brisbane dojos are spaces used for other purposes during the week but, on training nights, become a sanctuary for the practice of Aikido. We operate two (2) dojos – one on the north side of Brisbane at Everton Hills in the local P.C.Y.C. and one on the south side of Brisbane at Nathan, in the grounds of Griffith University.